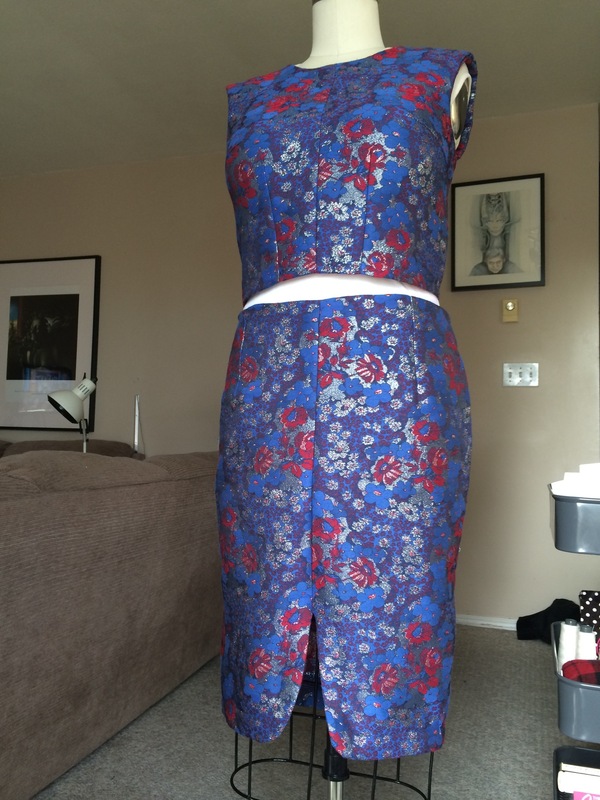 After careful consideration I chose the Vanamo as my pattern: I adore clean, classic designs that show off great fit & fabric and I felt it would be the perfect way to let the fabric sing, and still be a silhouette that reflects my personal style. I absolutely love the marriage of the clean, elegant design, and intricate textural brocade. 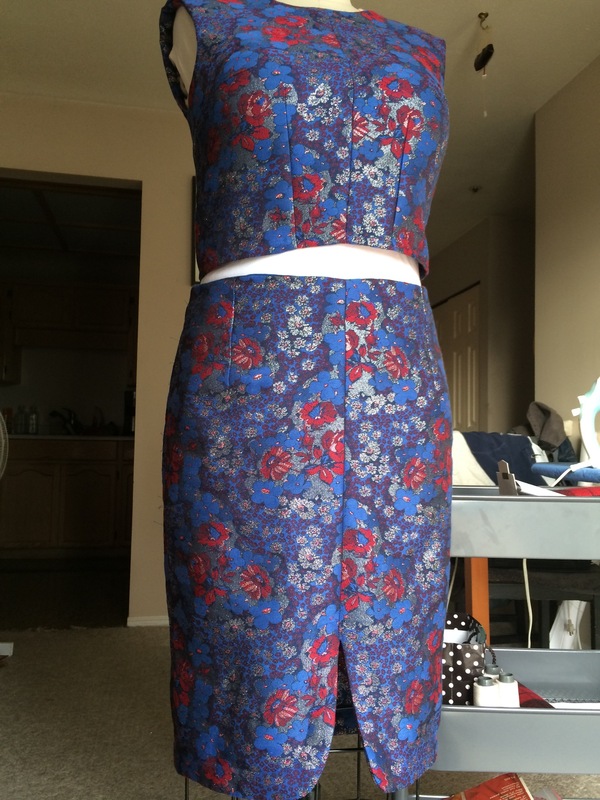 The fabric is a poly brocade from Mood; it has a great texture & colour, on both sides – I actually had a hard time deciding which side to use, but settled on the blue as I felt it would fit into my wardrobe better. I am admittedly kinda fanatical about pressing, so as the fabric is polyester I knew it would be tough to get a good press but vital to a good result, so I researched pressing methods for poly & discovered vinegar water solution – I just sprayed it before pressing & it works a charm! The downside of this lovely fabric is that it is SUPER fray-ey, so I serged every edge but the serged finish pulled away in some places so the insides are not perfect. Also the skirt insides are imperfect as post-sewing fit adjustments I made on the side seams (due to turn of cloth) meant that the facings no longer fit. Still, I’m very happy with the outside of the garment as I took extra care on the fit & finish. I love the pattern’s covered zip detail & clean finishing. I love the curved hem at the front of the skirt as well; it’s a beautiful detail that elevates the classic pencil skirt to the next level. 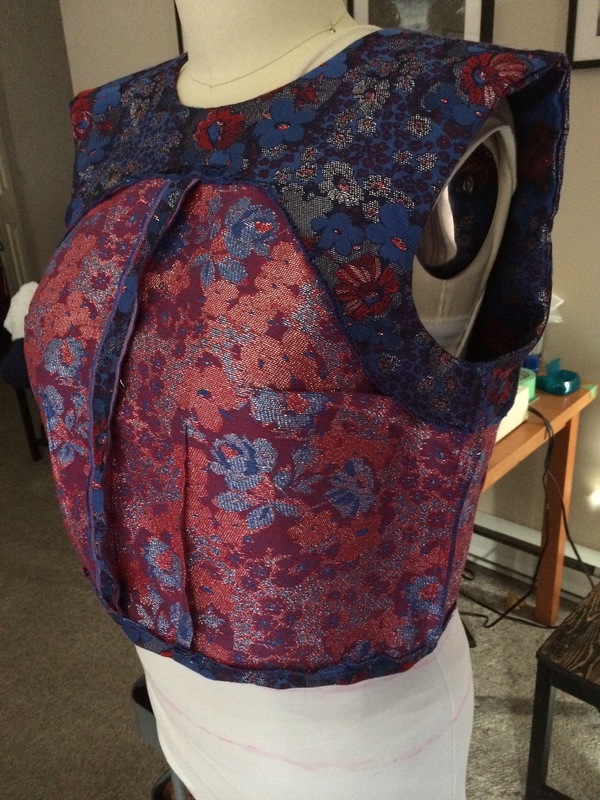 The pattern is an excellent draft; just my regular FBA & waist adjustment was all I needed on the bodice; it fit perfectly across the upper back without adjustment, even with the stiff fabric. 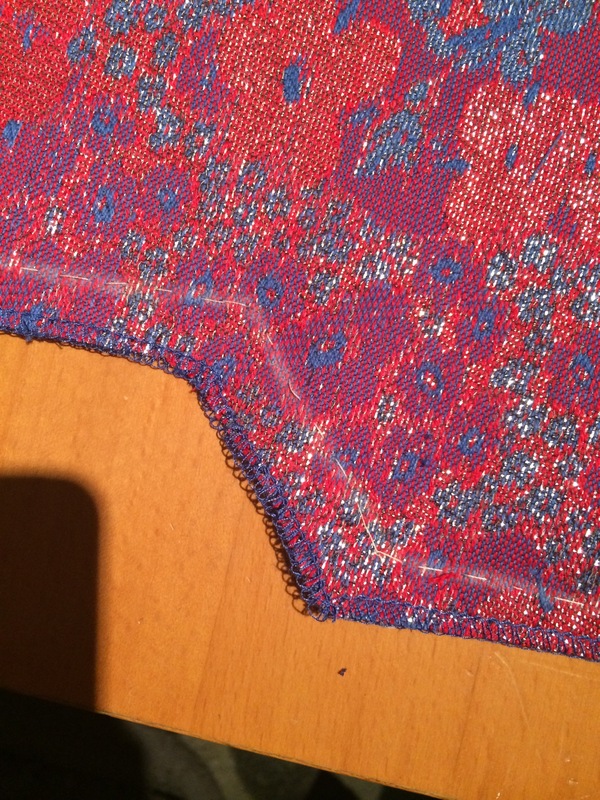 I also love that Named’s printed patterns don’t include seam allowance; I much prefer thread tracing seams & adding my own SA (FYI the PDF versions do include it) – for me I find thread tracing both satisfying (like romancing my fabric before getting into the serious sewing relationship lol) and much more accurate.